Live and on-camera–SCG Payload Specialist Greg Jarvis (right) and Bill Butterworth, payload specialist alternate, demonstrate employee-designed experiments to news crews during a press day earlier this month. The experiments, which all deal with fluid dynamics in zero-g, will fly on shuttle mission 51-D with jarvis in March. 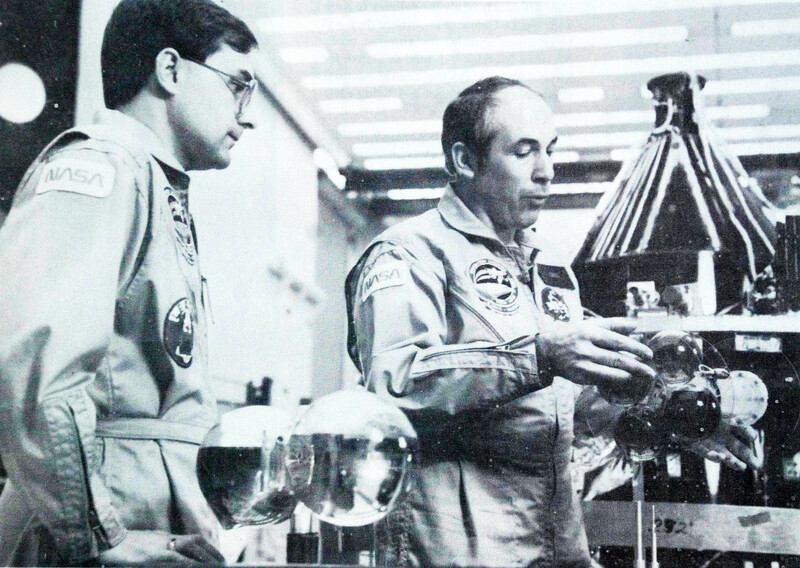 The equipment in front of Butterworth will track air bubble movement in model fuel tnaks: Jarvis holds fuel slosh apparatus.